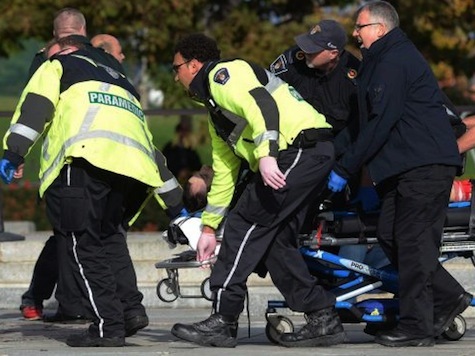 Canadian authorities identified the gunman in the deadly shooting Wednesday of a soldier guarding the National War Memorial in Ottawa as Michael Zehaf-Bibeau, a Canadian born in 1982. Mr. Zehaf-Bibeau, who had a criminal record, recently converted to Islam, senior American law enforcement officials said. He was shot and killed in the attack. The episode was the second deadly assault on a uniformed member of Canada’s armed forces in three days, and the latest in a growing list of attacks in the West against soldiers, and in some cases civilians, by individuals who have professed their affinity for radical Islam or sympathy to militant ideology. Martin Rouleau-Couture, the owner of a small power-washing business, drove his car into two Canadian soldiers, killing one of them, at a strip mall in Saint-Jean-sur-Richelieu, Quebec. The authorities suggested it was a terrorist attack, but little had emerged about the motives of Mr. Rouleau, who converted to Islam last year. Mr. Rouleau’s Facebook postings had extolled Islamic State violence, expressed anti-Semitic sentiments and denigrated Christianity. His family became increasingly concerned about his possible radicalization and contacted the police and the imam at the mosque where Mr. Rouleau prayed. He was fatally shot by the police during the attack.